In Clínica Ripoll we work and we worry so that during your pregnancy, there is no setback which ends your wish: to be the mother of a healthy baby. 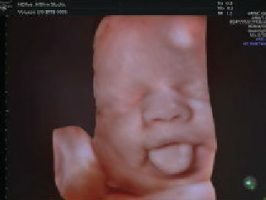 We apply prenatal diagnosis techniques in the fetal treatment and in the treatment of pathologies that may affect you. A medical team performs all the controls and tests related to the pregnancy. They are also the ones that will assist you during childbirth, which can be carried out in Hospital Quirón-Pilar, the Hospital Quirón-Teknon, the Hospital of Barcelona, the Clínica del Remei & the Clínica Diagonal. They are endowed with the necessary infrastructures for the correct childbirth attendance, as well as a team of highly qualified midwives, neonatal intensive care unit, delivery rooms and fully equipped operating rooms or blood bank, among other services. In Clínica Ripoll all the examination rooms are equipped with an ultrasound machine and the necessary material for the usual pregnancy controls. The clinic has the latest technology in the specialty with the Voluson E10 BT18 and the Milta-Gyneco vaginal laser. Our Barcelona clinic also has cardiotocography for maternal-fetal monitoring and there is a cutting-edge ultrasound device for carrying out morphological ultrasounds, early amniocentesis taps and any complex ultrasound examination that is required. The rooms where the echographs are located are equipped with flat screens, so that the patient and her companion can follow, at all times, the exploration that the doctor is doing. 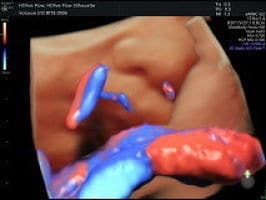 In parallel, we pay special attention to high-risk pregnancy cases, having access to advances in fetal medicine, where the fetus becomes a patient with its own entity, with the aim of having it, at all times, under surveillance and control. 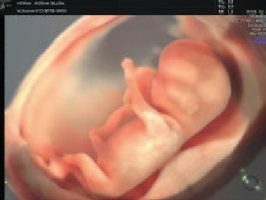 In the prenatal diagnosis we have the latest technologies such as HD Live Silhouette / HD Live Studio obstetric ultrasound, a real-time 5D high definition ultrasound that allows us to observe the fetus in movement. If you wish, there is the possibility of obtaining a USB with the ultrasound recording, send it to your email and/or get printed images. As well, if you wish, you can proceed to the conservation of blood stem cells from the newborn’s umbilical cord. As a novelty, we offer a laser treatment for patients who wish to have a postpartum scar.